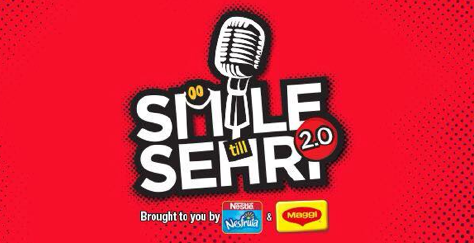 After the massive success of CityFM89’s all night charity comedy marathon in 2017 where we raised PKR 600,000 for Edhi Foundation, Smile till Sehri 2.0 was a no brainer. With a new charity, more comedians and even more delicious food options, we brought Smile Till Sehri 2.0 back in Ramzan 2018. Hosted by Ali Gul Pir, Akbar Chaudry & Faiza Saleem, the audience was in fits all night long and together we raised a sum of PKR 700,000 for The Citizens Foundation. Specials thanks to our sponsors Nestle Nesfruta & MAGGI.